Christine Armstrong draws upon nearly two decades of professional service marketing experience gained while in key client relations roles at several large, mid-size, and boutique law firms in the United States and Canada. In her current role at GCG, Ms. Armstrong is responsible for a wide range of marketing and corporate branding functions, primarily in the areas of writing, editing and public relations. A trusted partner to leadership and stakeholders across GCG’s international footprint, she has developed invaluable and intricate knowledge of all facets of the legal administration process for class action settlements, mass actions, bankruptcy and restructuring matters, regulatory actions, remediations, data breaches, and emergency response programs. 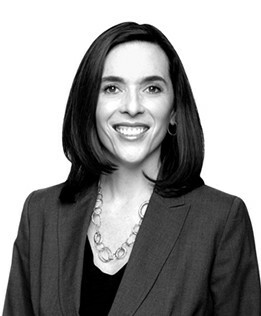 Prior to joining GCG in 2014, Ms. Armstrong held leadership roles in the marketing departments of several prestigious law firms, including Kirkland & Ellis, Lowenstein Sandler and McCarthy Tetrault. During that time, Ms. Armstrong developed a highly sought-after ability to create successful marketing and development plans specifically for law firms, their partners and their young lawyers. Her insight into both plaintiff and defense litigation, as well as bankruptcy and restructuring matters, enabled her to draft and articulate key messaging and branding for each firm, while concurrently managing proposals, internal and client-facing communications, key client events, and public relations. While in graduate school, Ms. Armstrong sharpened her writing and editing skills as a reporter covering business and political beats in Chicago, Washington, D.C., and in London.